The Sand Dunes were a lot of fun this year. 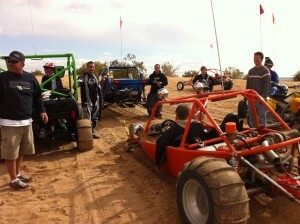 The sand rail was running well until we broke the front left spindle and the wheel fell off. After pushing the rail out of a big bowl, Mark from Irontree Plumbing helped tow us back. We tried a few things. First we tried towing backwards. Then we tried towing forwards. 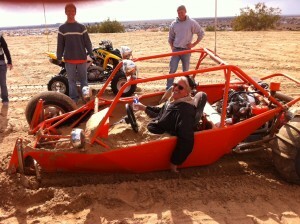 We even tried powering through the sand with only one front wheel. Eventually we stuck with towing forwards. The minor detail was that the tow strap was only 15-20 ft. 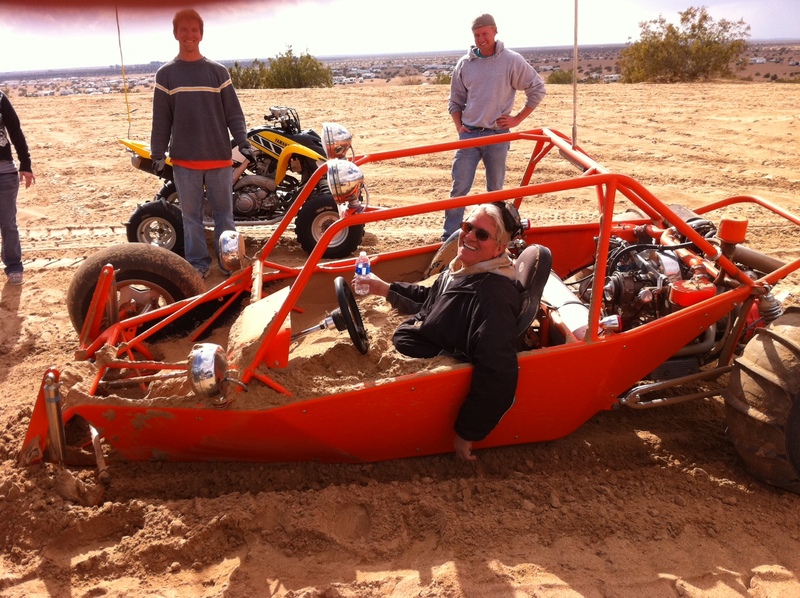 The towing rail and the front suspension threw so much sand into the rail, my dad couldn’t take his foot off the clutch due to all the sand on him.